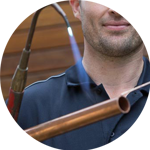 For over a decade, the Handy Squad have been successfully completing a wide variety of plumbing tasks in Ealing. 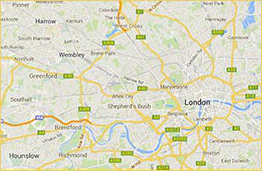 Since 2005, our expert team have been patrolling the area in their signature yellow vans and scooters, enabling our team of plumbers to reach anywhere within Ealing promptly. 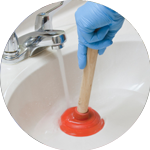 Having successfully worked for over a decade on plumbing tasks, there won’t be any job your Plumber in Ealing won’t be able to take care of. 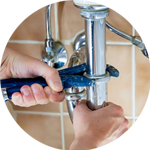 Your Plumber in Ealing will be able to assist with; Replacements, Unblocking and much more. Ealing is a district located in the West of London. The area is home to football sides, Queens Park Rangers and Brentford FC. 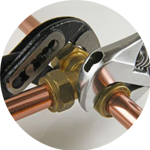 The Handy Squad has dedicated teams for a wide selection of trade services besides plumbing. We also have a Handyman in Ealing, to assist with general DIY tasks such as Flat Pack Assembly and Tiling. We also have a fully trained team of electricians who will be able to take care of electrical tasks with ease. The Handy Squad have Electricians in Ealing, who will be able to provide services related to; Replacements and Installations. To book your handyman, carpenter, decorator, electrician or plumber in Ealing, fill out the online booking form.